Costly and time-consuming negotiations for private deals are a thing of the past! The RTBmarkt private marketplace offers you a unique overview of available deals as well as the possibility to directly request and book your favorite deal with a single mouse click. Our marketplace gives you further information on all details of the deals such as the offered ad formats, the bidding strategy (fixed-price or second-price-option) and the transparency (transparent, semitransparent or blind). Next to the marketplace, RTBmarkt also enables you to integrate existing deals into your campaigns. One of the biggest problems of the programmatic advertising industry is the missing transparency. Advertisers often want to make private deals but do not know how to do it and with whom. We solved this problem by creating our private deals overview. Inquiring deals has never been faster and easier – The RTBmarkt marketplace supports your direct sales team by automating the private deal processes. No more contacting all marketers in order to find out what kind of deals they are offering and therefore no more time wasting. The environment of your ads influences the performance of your campaigns fundamentally. This is why it is impotant to control the quality as well as the accordance of the publishers inventory and your brand. Through the private marketplace you decide with whom you want to work together and where you want your banner ads to be seen. Most publishers and marketers offer their premium inventory through private deals. This means that you get exclusive ad impressions that are not available in the open rtb market. Get a huge competetive advantage by optimising your marketing strategy and making special private deals. 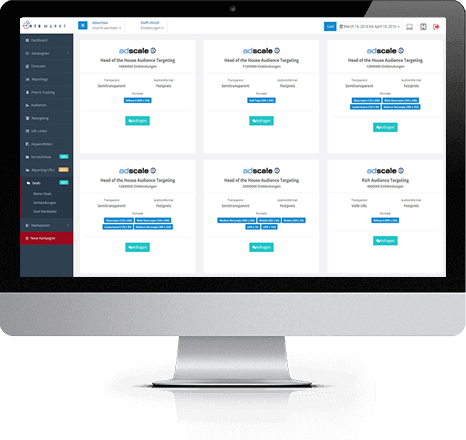 Automated Guaranteed, commonly known as Private Deal, is reserved inventory with fixed pricing. Private Deals most closely resemble a traditional insertion order and are typically used by publishers that offer high quality and hard-to-find inventory. In most cases, this transaction runs through the publishers or marketers demand-side-platform (dsp). This also means that the publisher sets up all campaign settings on basis of the advertisers targeting and that therefore, the advertiser cannot optimise any settings while the campaign is still running. The Unreserved Fixed Rate, better known as Preferred Deal, is unreserved inventory with fixed pricing. Typically this type is used by advertisers looking for a specific audience segment. The Private Auction, also known as the Invitation Only Auction, gives the publisher full control over which advertisers are allowed to bid. Through this type of auction, the publisher can determine whose banner ads he wants to be placed on his website, which ensures brand safety. The Private Auction uses the real time bidding protocols. 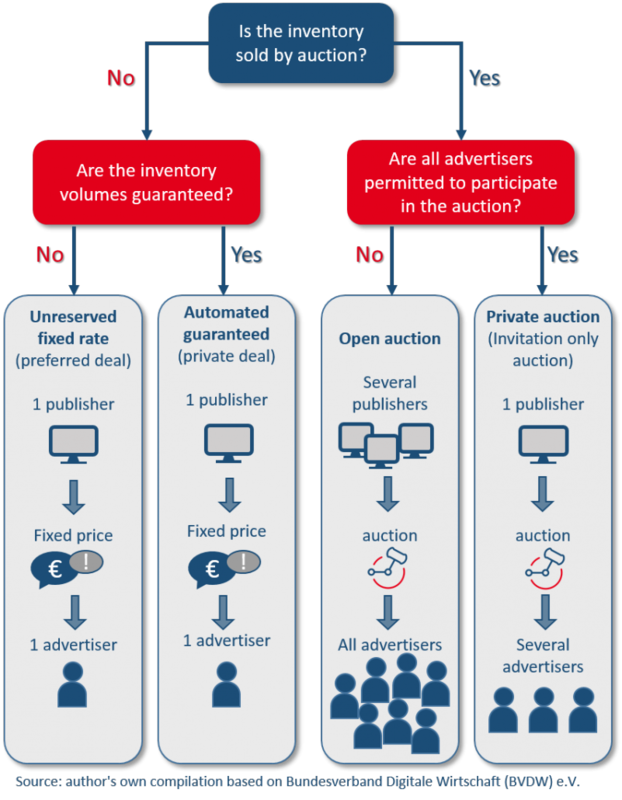 The Open Auctions describes the typical real time bidding process in which all publishers and all advertisers come together. Every advertiser can bid on every ad impression that matches the campaign settings.